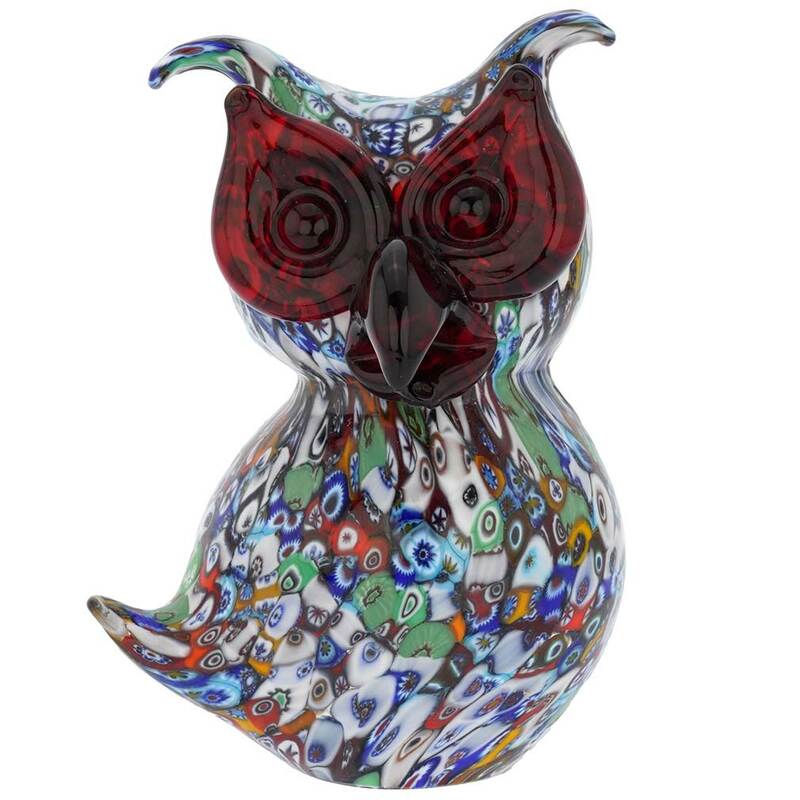 This gorgeous Murano glass owl sculpture represents the long-running artistic tradition of Murano glass combined with ingenuity and technical virtuosity of Murano glass masters. 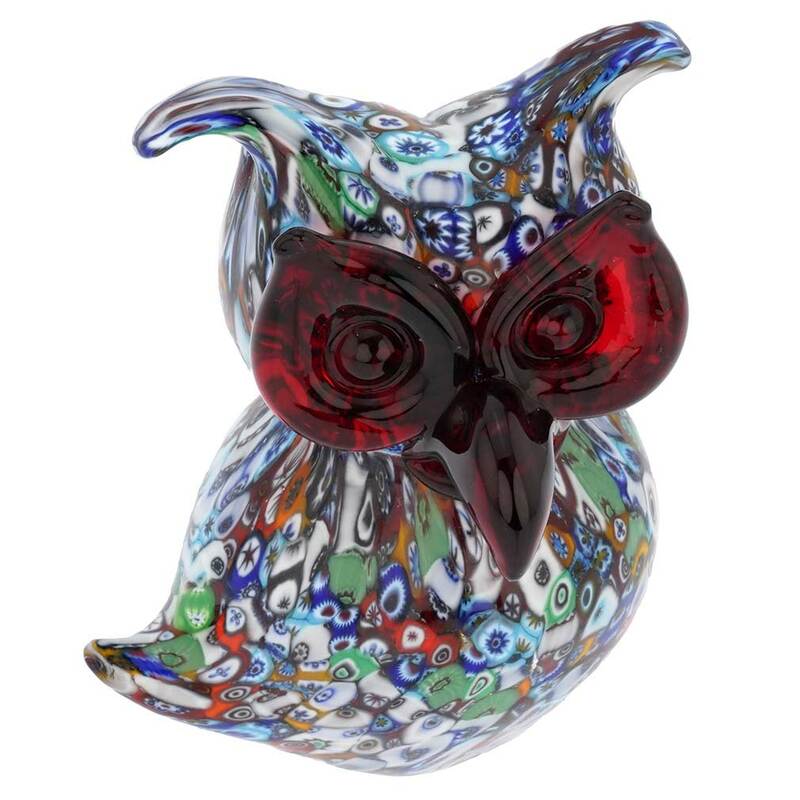 Using the most famous and distinctive ancient Murano glass technique- Millefiori (a thousand flowers), Murano masters created this elegant owl sculpture with the body of vivid stylized flowers and the beautiful eyes and nose in rich ruby red glass for a striking artistic effect. 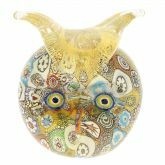 This beautiful authentic Murano glass owl was painstakingly created by hand using only traditional glass-making methods by a third-generation Murano maestro, whose work is displayed at exhibitions and in museums worldwide. 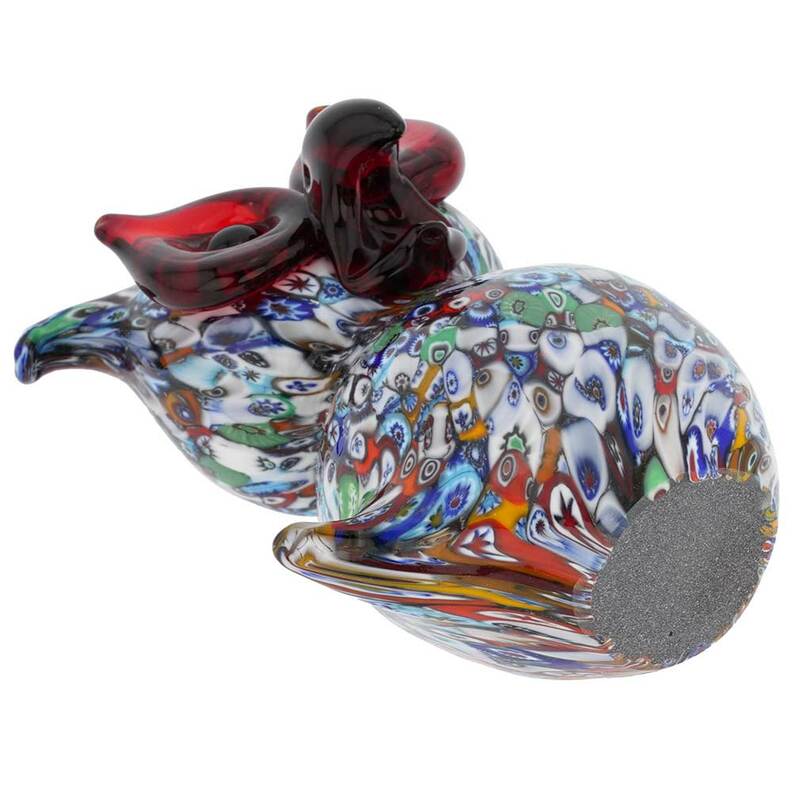 It will make a perfect stylish addition to your home or office and will bring a touch of Venetian elegance and charm into your life. 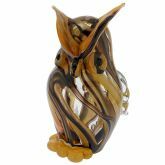 This Murano owl sculpture also makes a uniquely appropriate luxurious gift to the special people in your life, as it is truly a one-of-a-kind piece of art. The owl is approximately 4 inches tall and 3 inches wide in its widest part. 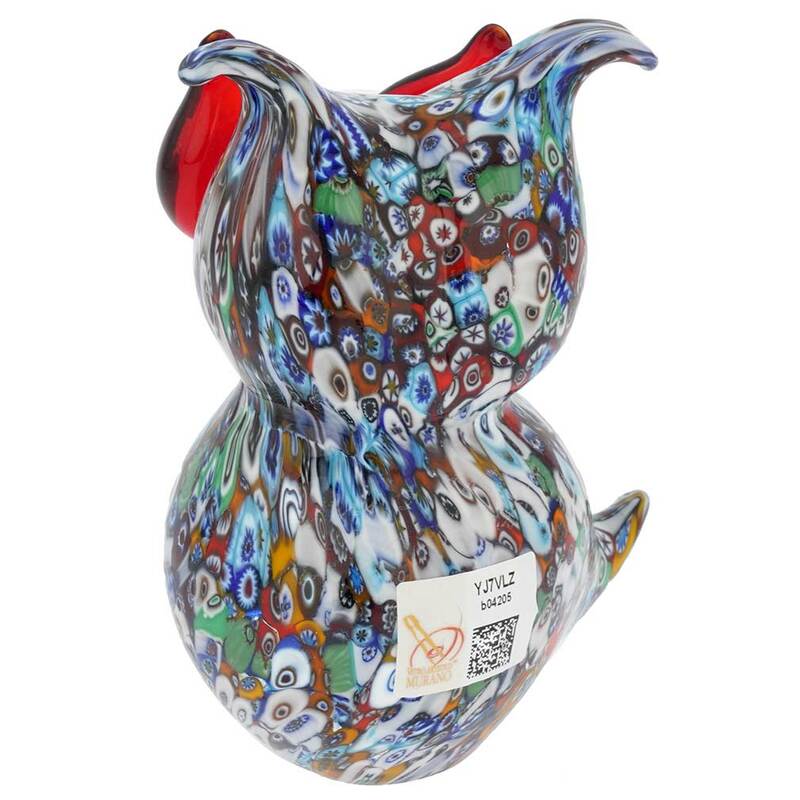 Attached sticker proves its Murano origin, as does the certificate of authenticity that comes with the sculpture. Good service, same article as advertised, arrived in time safely.